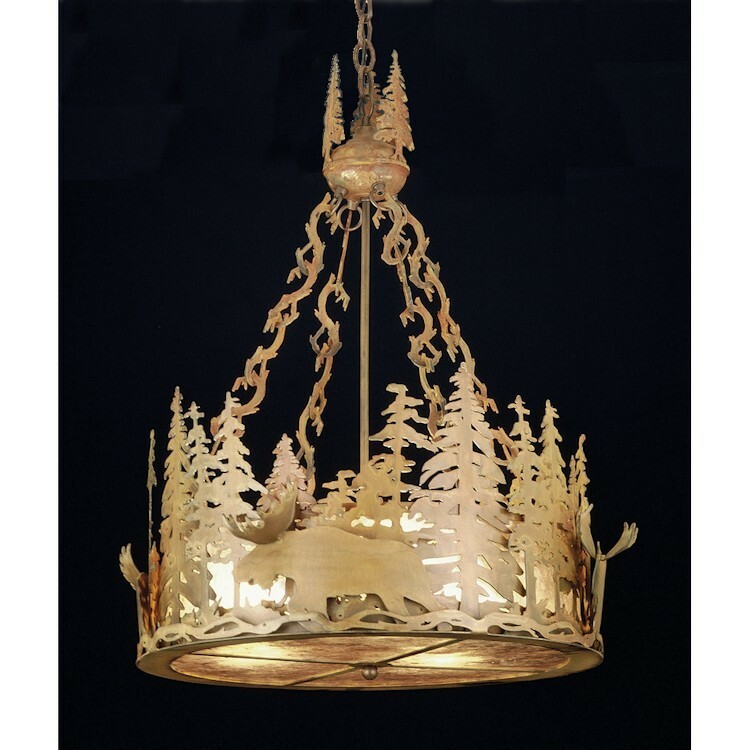 A Moose wanders through the tall pines around this circular chandelier. The Moose at Dusk Chandelier is suspended from hand crafted branch like chain links that hang from a pine tree adorned hub, this fixture is finished in Rust and has Silver Mica panels. Made in the USA. 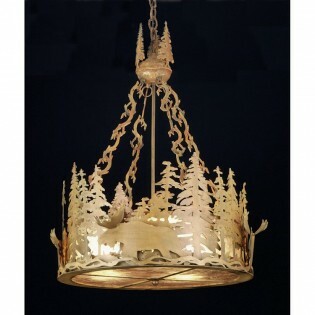 A Moose wanders through the tall pines around this circular chandelier. The Moose at Dusk Chandelier is suspended from hand crafted branch like chain links that hang from a pine tree adorned hub, this fixture is finished in Rust and has Silver Mica panels.